Yukiya Amano, director general of the International Atomic Energy Agency (IAEA), stressed the importance of scientific and technological advances for development during his opening statement at the IAEA's General Conference in Vienna on Monday. During his address, Amano spoke of the Sustainable Development Goals that will be undertaken by United Nations (UN) member states and how these relate to the work of the IAEA. The goals will be detailed further in a summit to be held Sept. 25-27 in New York City. Amano said nuclear energy is an option that many countries are considering to face the challenge of eliminating carbon emissions while still providing necessary power supplies. 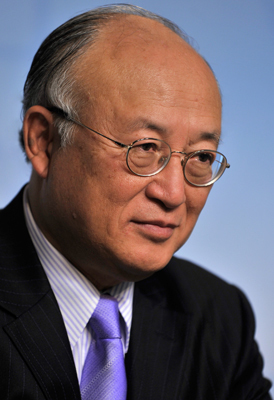 During the address, Amano also spoke of the road-map agreement between Iran and the IAEA and the Joint Comprehensive Plan of Action that was agreed upon by a group of world leaders and Iran to rein in its nuclear program.